Fall is one of my family’s favorite seasons. This time of year is beautiful in Middle Tennessee and cooler temps finally arrive. 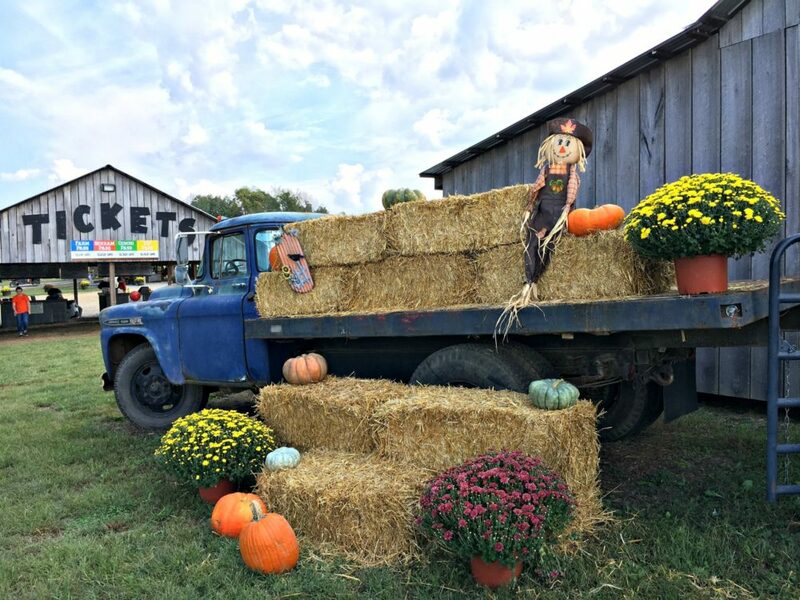 There are so many great activities to check out for Nashville fall family fun and some are most definitely worth a drive out to the country! I grew up in Robertson County, which is north of Nashville and close to Kentucky. Robertson County is home to the legendary Belle Witch but it’s also home to some friendlier Halloween fun that offers something for the entire family. 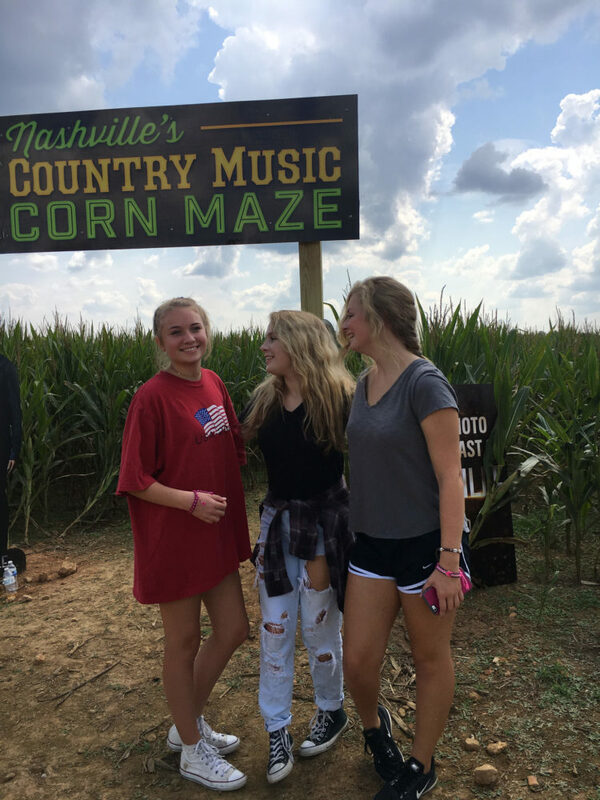 I took my teenager daughter and a couple of her besties to check out Honeysuckle Hill Farm recently and we all had a blast. 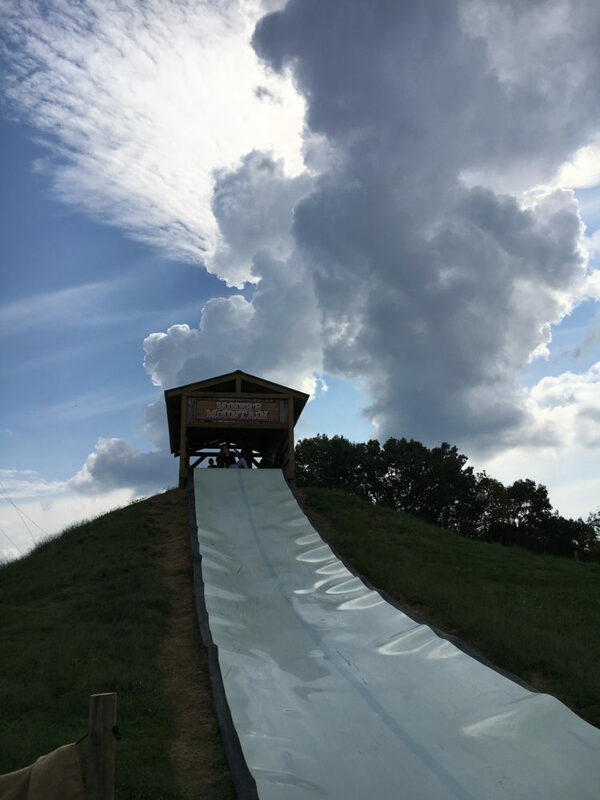 Although we saw lots of little ones enjoying the farm with their family, there are many activities that older kids and even teenagers will enjoy, such as the challenging corn maze (fair warning the girls were in there for at least 20 minutes) and the apple shooting target range and the Miner’s Slide Mountain. General admission tickets are just $14.95 and include these activities and more. We also enjoyed the relaxing tractor ride around the farm and visiting all of the animals. For an additional fee you can try out the zip line and rock climbing wall. For scarier thrill seekers Honeysuckle Hill Farm hosts Scream Creek. 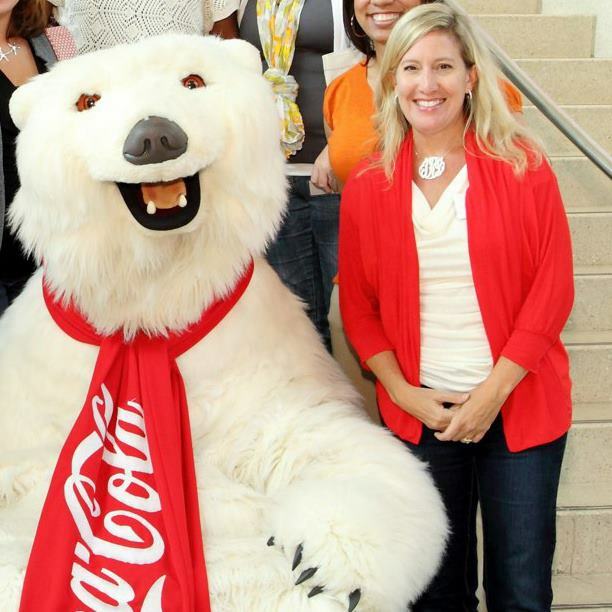 Check out all of their pricing options for fall fun that appeals to all ages. Bounce back purchases are available for $7 for the farm activities, which allows visitors to return one more during the season at a reduced price. Disclosure: Honeysuckle Hill Farm provided me with four passes to enjoy a day at the farm! 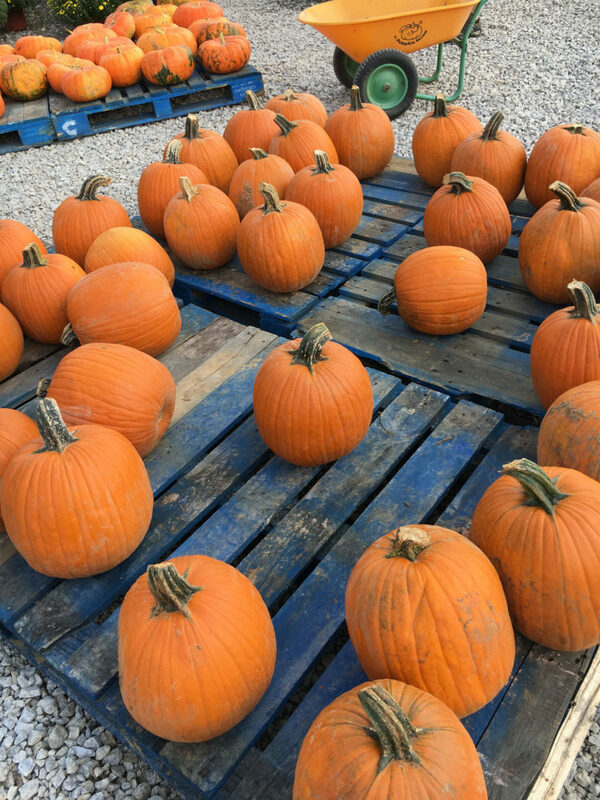 This entry was posted in Nashville and tagged fall fun, family friendly fun, Nashville things to do, pumpkin patch.